Performance 1000 RPM Torque Spring for 50cc QMB139 4-stroke engine based vehicles. Designed to provide varying pressure to the sliding variator plate for different acceleration purposes and tuning. 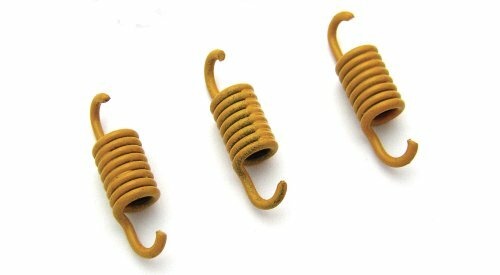 When performance increases, these springs become a necessity. It can maximize your engine's torque and response. 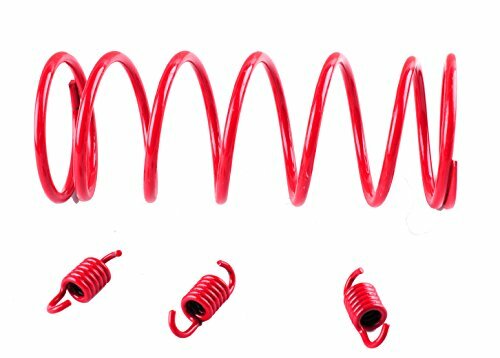 These top performing springs will give you back your acceleration, hill climbing ability and make your machine run as a top performer once again. This fits all the common scooters, ATV , Go Karts with 50cc QMB139 engines like Tao Tao , Baccio , Vento Phantom R4i, R3, Jonway, NST, Tank, JMstar, Roketa, Sunl, Peace and many more. 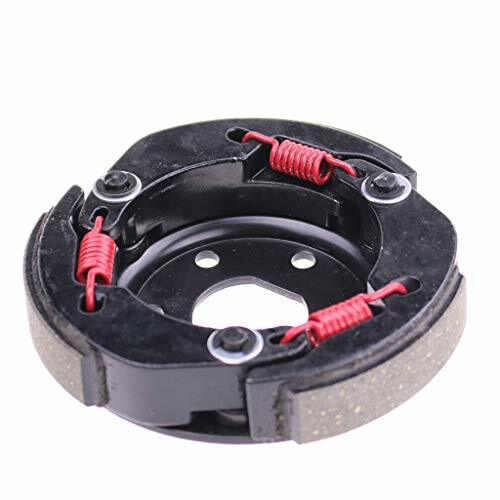 Performance Clutch Spring, 3 Pieces/Set Please choose the size from the drop list Sold Each. Performance 2000 RPM Torque Spring for 50cc QMB139 4-stroke engine based vehicles. Designed to provide varying pressure to the sliding variator plate for different acceleration purposes and tuning. 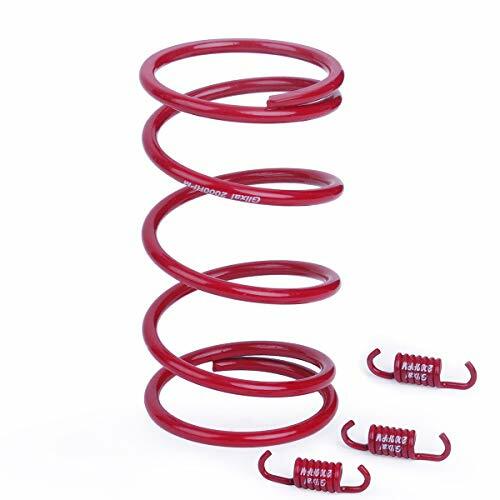 When performance increases, these springs become a necessity. It can maximize your engine's torque and response. 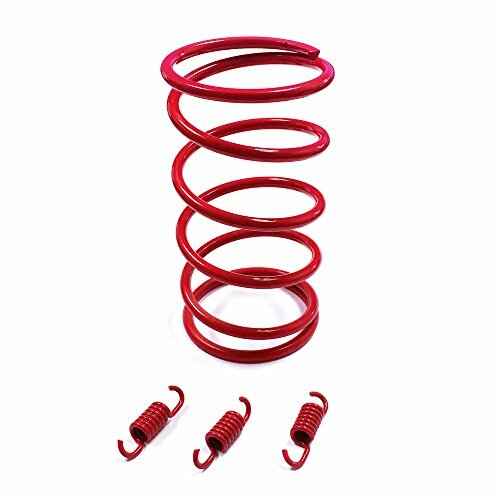 These top performing springs will give you back your acceleration, hill climbing ability and make your machine run as a top performer once again. This fits all the common scooters, ATV , Go Karts with 50cc QMB139 engines like Tao Tao , Baccio , Vento Phantom R4i, R3, Jonway, NST, Tank, JMstar, Roketa, Sunl, Peace and many more. There are 2 styles of clutch, with or without groove in the central holes. Material: Aluminium. 3 Springs for free! 50cc Honda DIO & QMB139 50cc Chinese Street Scooter Performance Clutch Spings. 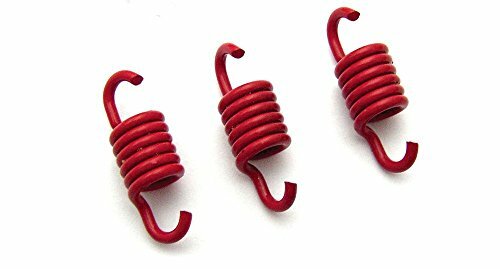 1500 RPM Rated Clutch Springs, 1 Set Of 3 Springs. 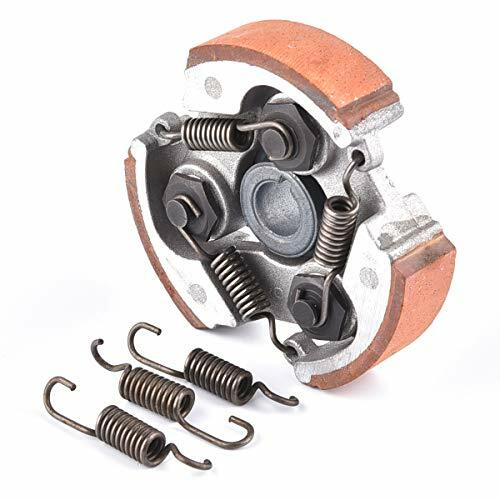 Get better acceleration on your GY6 by upgrading your clutch springs! 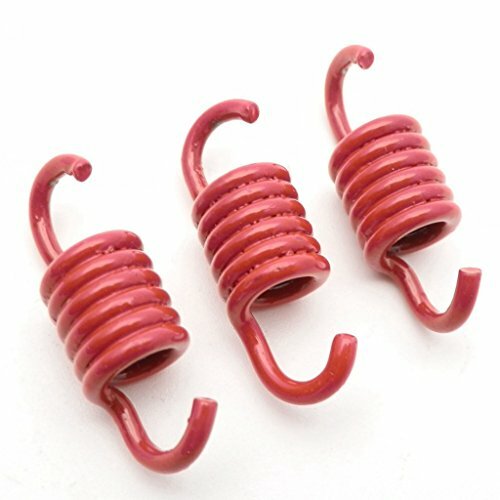 1500 RPM NCY clutch springs, set of 3. 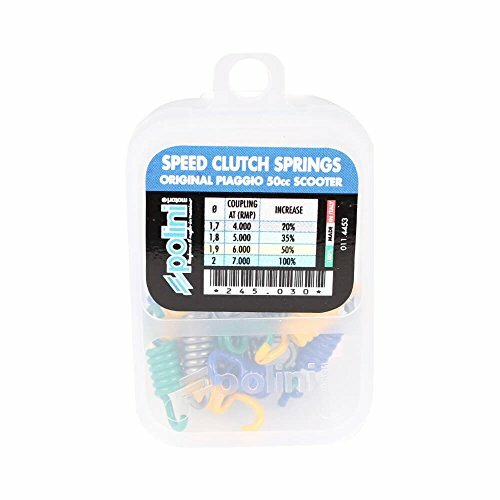 Clutch springs help determine the RPM that the clutch will engage at. 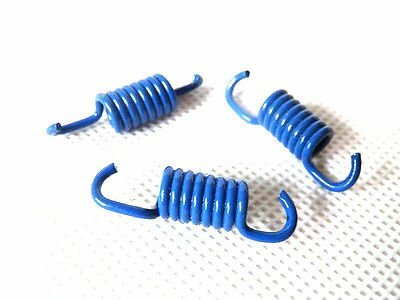 Performance Clutch Springs. 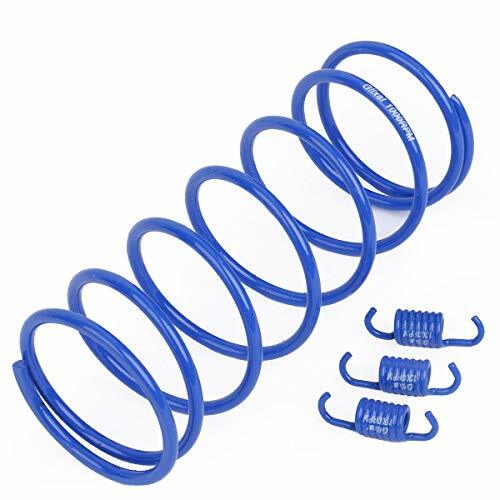 Suitable for all clutches on the Chinese 4-Stroke 50cc or Honda DIo 50cc, etc Package: one set of 2K springs (3 pieces) Please note: Picture is for reference only, color may vary. 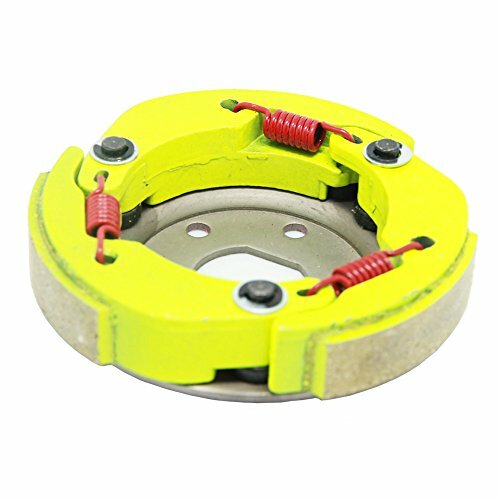 125 / 150cc Chinese Street Scooter Performance Clutch Spings. Fits 152QMI & 157QMJ 125/150cc GY6 Engines. 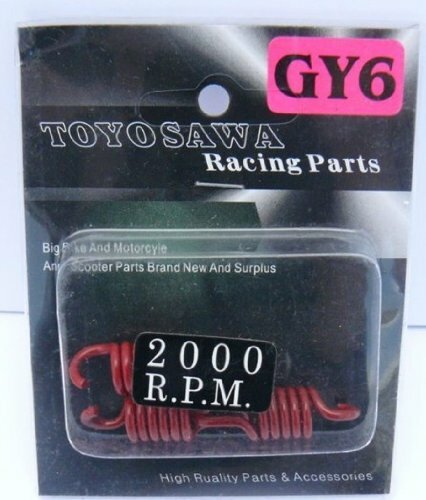 2000 RPM Rated Clutch Springs, 1 Set Of 3 Springs. 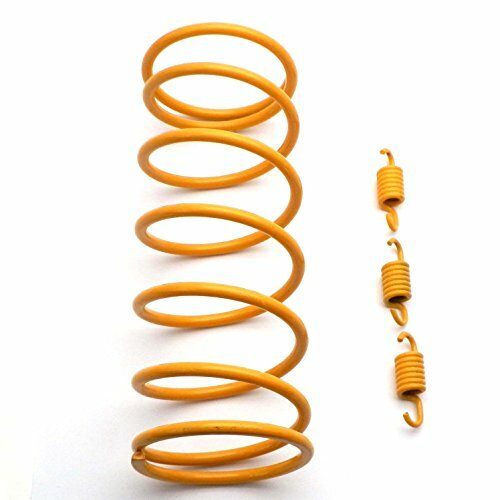 Suitable for all clutches on the Chinese 4-Stroke 50cc or Honda DIo 50cc, etc Package: one set of 1K springs (3 pieces) Please note: Picture is for reference only, color may vary. 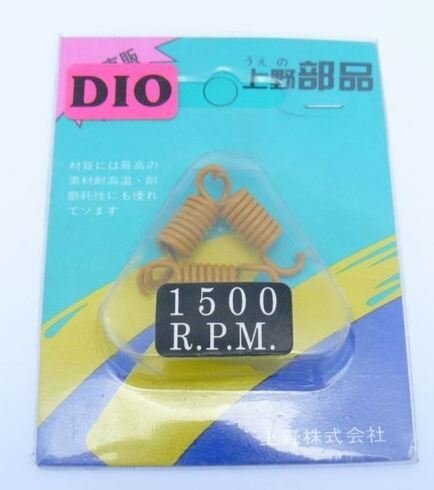 Performance 1500 RPM Torque Spring for 50cc QMB139 4-stroke engine based vehicles. Designed to provide varying pressure to the sliding variator plate for different acceleration purposes and tuning. 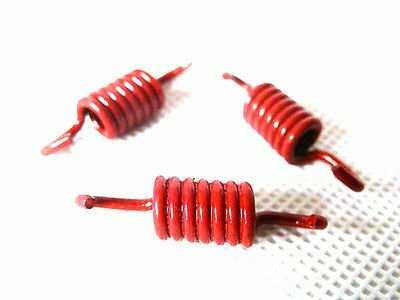 When performance increases, these springs become a necessity. It can maximize your engine's torque and response. 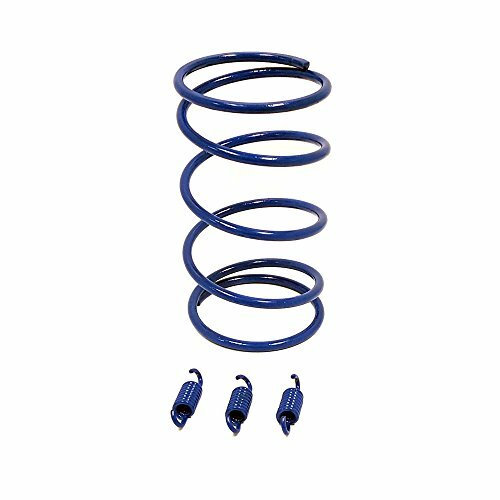 These top performing springs will give you back your acceleration, hill climbing ability and make your machine run as a top performer once again. This fits all the common scooters, ATV , Go Karts with 50cc QMB139 engines like Tao Tao , Baccio , Vento Phantom R4i, R3, Jonway, NST, Tank, JMstar, Roketa, Sunl, Peace and many more. 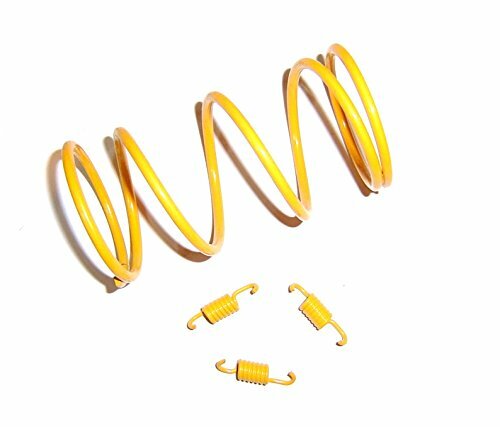 HIGH PERFORMANCE TORQUE SPRING INCLUDING CLUTCH SPRINGS IN STOCK, SHIPS FROM USA 1500 RPM, 50-80cc, 139 QMA/B > 4-Stroke Engine FITS MOST GY6, 4 STROKE ENGINES FOR SCOOTERS, ATV, MOPEDS, GO KARTS, DIRT BIKES, QUADS, BUGGIES, ETC. IT CAN MAXIMIZE YOUR ENGINES TORQUE AND RESPONSE. 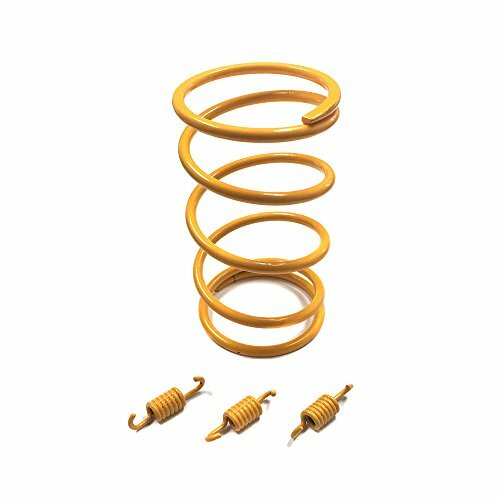 THESE TOP PERFORMING SPRINGS WILL GIVE YOU BACK YOUR ACCELERATION, HILL CLIMBING ABILITY AND MAKE YOUR MACHINE RUN AS TOP PERFORMER ONCE AGAIN. PLEASE CHECK PHOTO'S FOR SPECIFICATIONS AND COMPATIBILITY BEFORE ORDERING !! THANK YOU ;-) We provide you with spare parts for Scooters from: Apollo, Baotian, Baja, Benzhou, BMS, Eagle, Fushin, Guoben, Hisun, Huatian, Jinlun, Jinan, JCL, JmStar, Jonway, Kinroad, Kymco, Lance, Lifan, Lingben, Mawi, MotoBravo, Motorro, NST, Peace, Rhon, Qingqi, Roketa, Sanili, SSR, SUNL, Sukida, Supermach, TaoTao, Tomoto, Vanguard, Wangye, Xinling, Xintian, Yamasaki, Yiben, Yiying, Zhongshen, Zhongyu, Znen and many more.. 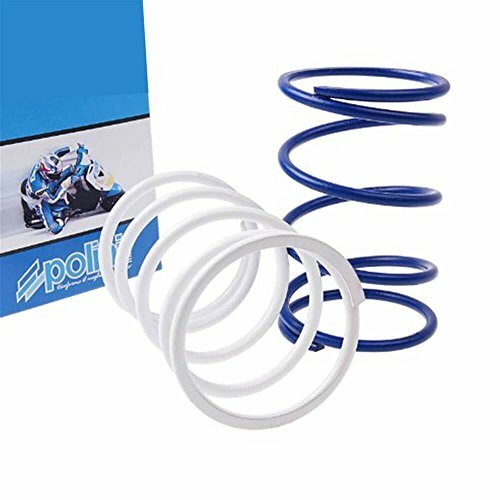 Compare prices on Scooter Clutch Springs at LiveSaler.com – use promo codes and coupons for best offers and deals. We work hard to get you amazing deals and collect all avail hot offers online and represent it in one place for the customers. Now our visitors can leverage benefits of big brands and heavy discounts available for that day and for famous brands. We try to makes comparison shopping easy with Product Reviews, Merchant Ratings, Deal Alerts & Coupons. Find Deals, Compare Prices, Read Reviews & Save Money.